What Exactly IS a Community Hospital? Community hospital. For many people, the term conjures up images of a small, local, well-run quaint health care facility complete with friendly staff and kind doctors who all possess a folksy bedside manner. Reasonable sounding, isn’t it? But is there a formal definition, a generally accepted standard of what constitutes a community hospital? The American Hospital Association defines community hospitals as all non-federal, short-term, general, and other special hospitals including academic medical centers or other teaching hospitals. Interestingly enough, the definition included college and prison infirmaries prior to 1972. But, does this rather sterile definition truly explain what a “community hospital” is? breaks down community hospitals further, distinguishing between rural community hospitals and urban community hospital. Or should we rely on Becker’s Hospital Review list of 100 Great Community Hospitals which only includes those that have fewer than 550 beds and minimal teaching programs? Designated as an essential access community hospital under Medicare. 1. Communication: Prioritization of managing patient expectations. In order for a community hospital to truly be a part of the community it serves, it must establish open, honest and clear communication that is conducive to a dialog between it and the people it serves. People should have a complete understanding of what the facility provides (and doesn’t provide), what the policies are regarding access, treatment protocols, payment requirements and other issues associated with health care. The hospital board and staff should welcome questions, suggestions, concerns and general comments for the stated purpose of ensuring that the community is provided the best care and treatment the facility can provide. 2. They follow the money, but they ensure the money follows the health care needs of the community. Clearly, no healthcare facility can operate at a financial loss for any significant period of time. Donors must be courted, other funding sources secured. However, a community hospital must ensure that it attends to the needs of its patients in addition to focusing on the bottom line. Making financial decisions that maximize the resources of the facility and the staff that work there should be a top priority. Reputation is built on more than fundraising success and sparkling new equipment for its own sake – spending should have a specific, care-based focus. This doesn’t necessarily mean that the hospital is completely governed by the community in which it is located, simply that local facility management has meaningful input into how the hospital is run rather than being dictated to by the corporation that owns the hospital. Joe Lupica, chairman of Newpoint Healthcare Advisors, succinctly sums up the point: “A community hospital is a place where care can come to a patient, instead of forcing a patient to drive far away for care.” The community must not only be served, it must be made to feel that it is being served. Elliot Health System is a community hospital. If you’d like to learn more about provider careers with us, click below. There are few personal relationships more influential on a person’s quality of life than the one they have with their primary care physician. The average individual may not necessarily view it in those terms, but it’s true. People place their most important “possession” – their health – in the hands of their doctor, thereby assigning tremendous value to that health care professional. But why? Upon what factors is such value based? There are any number of reasons someone would value their primary care physician. Trust is, of course, the fundamental component of any successful relationship. But trust is not organic, it doesn’t just magically appear when people interact. There are reasons that people trust one another and reasons they don’t. Some seem quite reasonable or at least relevant. Take, for example, one of the most common: My doctor doesn’t listen. Others, not so much: My doctor makes too much money. 1. Remember that your priorities often differ from those of your patients. While the health of your patient is one priority you share, there are others you don’t. Primary among these, perhaps, is your focus on running a successful medical practice. Not that there’s anything wrong with that, of course. But, if your patients sense that they are simply revenue producers instead of individuals you care about personally, trust becomes difficult to maintain. As passe as it sounds, no one wants to be treated as if they’re simply a number. 2. It’s a personal professional relationship. The top 3 responses – Empathetic, good listener, compassionate/caring/kind – all relate to communication. Not surprisingly, the ability of a primary care physician to effectively communicate with his or her patient is considered a crucial factor in determining what makes a good doctor. Subjective? Of course. But, understandable nonetheless. What constitutes competence? Is it simply the technical ability of a physician or are there other components as well? Probably the latter. For example, you may be the most skilled primary care physician in your city when it comes to providing health care, but if you are often preoccupied, constantly late, spend very little time speaking with your patients or have a sour personality, you may not be considered very competent by your patients. Perception is reality and that’s especially true when it comes to how your patients view you. If you conduct your practice in an unprofessional, undisciplined and/or disorganized manner, it’s likely you will not be perceived as very competent. There are, of course, other factors that effect whether someone values their doctor. However, all of them involve whether the patient feels that they can trust you. There’s an old saying along the lines of “familiarity breeds contempt.” When it comes to patients and their primary care physician, however, it’s much more likely that familiarity breeds confidence, cooperation and comfort. And isn’t that just what the doctor ordered? Are you a primary care physician who wants to work for a community hospital? 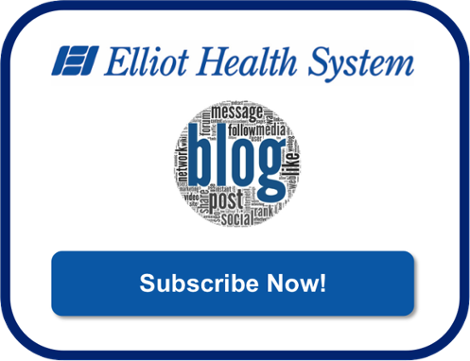 Apply to work for Elliot Health System! What Do Community Hospitals Offer Physicians Career-wise? What if there was a hospital that was large enough to allow you to grow as a medical professional, but community-oriented enough to ensure that you don’t get lost in the shuffle? A place where physicians have the full support of the administration — because most of the hospital’s leadership are former providers. If this sounds far fetched, you probably haven’t worked in a community hospital. Many physicians aspire to work in country’s largest hospitals. They’re attracted to the complex cases, large paychecks and opportunities to conduct cutting edge research. But, if they took the time to examine community hospitals, they’d likely find all those things and more. According to the American Hospital Association, there are more than 5,600 hospitals in the United States. Most are community hospitals. Many are the largest hospitals in the region and have cutting edge technology, specialty centers and opportunities for physicians to participate in research. They also provide opportunities to lead, shape the future of healthcare and enjoy a high quality of life. Here’s a look at what community hospitals offer physicians and why a community hospital might be a good fit for you. No, not the efficiency that is required by insurance companies and hospital administrators who are entirely focused on the bottom line. The type of efficiency you’ll find at many community hospitals comes in the form of streamlined performance and coordination between providers. This is far too often be chalked up to proximity; the distance between wards or operating rooms is often shorter in community hospitals. But in reality, the increased efficiency is a product of less bureaucracy, which can be quite pervasive in large research-based hospitals but less so at community hospitals. Smaller hospitals typically have fewer administrators forcing paperwork on physicians. As a result that makes doctors much more efficient–especially during emergency situations. Not dealing with unending bureaucracy is an intangible benefit of working at a community hospital. Most newly minted physicians have accumulated more than $180,000 in student loan debt by the time they graduate from medical school, according to the Association of American Medical Colleges. It can take decades of $2,000-a-month payments before physicians can finally enjoy the financial rewards of their hard work. However, if physicians find their first job at a community hospital, they may be able to enroll in a student loan repayment program that pays $75,000* or more of their loan balance simply for committing three years to a community hospital. Quickly reducing student loan debt while gaining valuable hands-on experience is one of the biggest benefits of working at a community hospital. *Note: Make sure to check with individual hospitals regarding loan forgiveness or repayment policies. Every institution is different and the details in this article are not specific to any one community hospital. The best physicians possess practical wisdom, which is best described as the ability to leverage theory and practice to ensure the best possible outcomes for patients. The only way to gain practical wisdom is through experience and community hospitals offer ample opportunities to get real-world experience sooner rather than later. Many physicians at community hospitals are presented with complex cases they are not likely to come across in medical school or during a residency at a large urban hospital where there are layers of specialists and longtime physicians ready to provide care. Because the hospitals are smaller and typically don’t have as many specialists, community hospital physicians get to be “Jacks and Jills-of-all-trades.” They get to treat patients with a wide variety of symptoms and illnesses who otherwise might be passed off to specialists in larger hospitals. This experience often proves invaluable and makes physicians in community hospitals indispensable, which is why so many decide to build long, rewarding careers for themselves at community hospitals–long after they have paid off their student loans. Would you like to investigate community hospital careers within Elliot Health System? Thanks to the presidential election, it has been a while since the medical industry has been “above the fold,” as they say in the journalism world. But, that doesn’t mean there hasn’t been any news about medical research, trends or treatments. Researchers may soon have a new tool in the effort to learn more about respiratory disease, which is responsible for nearly one in five deaths around the world. Scientists at the University of Michigan have successfully transplanted lab-grown mini lungs into mice, according to a story in Science Daily. The 3-D models of lungs were created from stem cells and transplanted into immunosuppressed mice, where the structures not only survived, but also grew and matured. Researchers say the transplanted mini-lungs were virtually indistinguishable from human adult tissue, which is important because it will allow scientists to test and screen drugs, gain a better understanding of gene function and possibly generate transplantable tissue. Read more about the mini-lung breakthrough on the University of Michigan website. The Zika virus isn’t making headlines like it did last summer, but researchers are still busy looking for ways to combat the illness’s devastating effects–and they may have made an important breakthrough. Researchers at Vanderbilt University Medical Center and Washing University School of Medicine in St. Louis say they have isolated a human monoclonal antibody that “markedly reduced” Zika virus infection in a mouse model. According to researchers, an antibody called ZIKV-117 protected the fetus in pregnant mice that were infected with Zika. The breakthrough offers hope to the thousands of people in the United States (including at least 11 in New Hampshire) who have been infected with the virus, according to the U.S. Centers for Disease Control. Read more about the study in the journal, Nature. In one of the most fascinating and inspiring medical news stories of the year, doctors at Children’s Hospital in Houston successfully removed a fetus from the womb, performed emergency surgery and placed the baby back inside her mother for another 20 weeks. CNN recently published a story about the baby who was “born twice.” The baby was diagnosed with Sacrococcygeal teratoma when her mother was 16 weeks into the pregnancy. While the condition, which causes a tumor to develop and grow from the baby’s coccyx prior to birth, is fairly common and often treatable after the baby is born, this case presented with complications. The fetus had blood-flow problems that could have led to heart failure. Physicians made the difficult decision to remove the fetus from her mother and perform the surgery. After placing the fetus back inside the womb, the baby grew normally and was successfully brought into the world at 36 weeks. That’s the type of inspiring medical news that reminds physicians why they chose a career in medicine–and reminds the world of the value of innovative health care and doctors committed to innovating. Read more about the baby “born twice” on CNN.com. Would you like to read more medical news roundups like this? Consider subscribing to our blog. They work in some of the most stressful conditions imaginable. They treat more than 100 million patients each year, according to the Centers for Disease Control and Prevent. They never know what types of cases are going to walk or be rolled through the doors. People who cannot speak, hear or see depend on them for life. And more often than not they succeed at keeping their patients alive. They are emergency medicine physicians, and their careers are as challenging and exciting as they are rewarding. Variety. No two days are alike for emergency medicine physicians. According to the CDC, there are more than 136 visits to emergency departments each year in the United States. Of these visits, more than 40 million are injury related, 16.2 million result in hospital admissions, 2.1 million result in admission to critical care units, and more than 2 percent end in a patient being sent to a psychiatric or other type of hospital. If you are the type of physician who likes variety, you’ll find it in the emergency department. Throughout the course of a single shift, many emergency medicine physicians find that they treat patients who need emergent or urgent resuscitation, interventions, procedures or obstetric care. Leadership. Emergency medicine physicians are on the front line of medicine. They are often the first in the country to be faced with emergency public health issues, whether related to chemical dependency, disease, or outbreaks and epidemics. For these reasons, physicians who work in emergency departments are able to play important leadership roles in addressing public health problems. They are often called upon for leadership in the areas of injury and illness prevention, emergency medical services response and legislative advocacy. Relevancy. According to a study conducted by the American College of Emergency Physicians, the number of visits to emergency departments is on the rise. In addition, 44 out of every 100 people in the country visit an emergency department each year, according to the CDC. Emergency departments are open 24-hours a day; they never close and they don’t turn anyone away. The physicians who work in emergency departments–whether in large, urban areas or smaller communities–are always relevant, in demand and respected for the service and care they provide. Flexibility. Because emergency departments are such intense environments, most hospitals allow for a great deal of flexibility when it comes to scheduling. The defined shift work makes scheduling more predictable than that of other specialties, and when you’re off the clock, you’re off the clock. Emergency medicine physicians rarely carry pagers, unless they are on call, so they can dedicate their time out of the emergency departments to their families, friends, recreational activities or professional development. Community. Physicians who practice emergency medicine have created a tight-knit community. Its members have a reputation for being extremely supportive of one another, connecting and collaborating on everything from professional development to research. In fact, there are four professional associations dedicated to advancing the profession, offering professional development opportunities, conducting research and connecting emergency medicine physicians with one another. They include the Emergency Medicine Residents’ Association, the Society for Academic Emergency, the American College of Emergency Physicians and the American Academy of Emergency Medicine. Satisfaction. Physicians, in general, are a hard group to satisfy, but according to Medical Practice Insider, emergency medicine physicians are more contented than those who practice plastic surgery, cardiology, radiology, anesthesiology, orthopedics, urology and general surgery. In fact, the only specialty groups with higher satisfaction rates are pathology, psychiatry and dermatology. If you are interested in an exciting emergency medicine provider career, consider working for Elliot Health System.